Essentials for Parenting Toddlers and Preschoolers is a free, online resource developed by the Centers for Disease Control and Prevention (CDC). Designed for parents of toddlers and preschoolers, Essentials for Parenting addresses common parenting challenges, like tantrums and whining. Ensuring the safety of children in care settings is the most important job of early childhood professionals. This resource, which is available in English and Spanish, can be a helpful tool for families to use as they evaluate and/or communicate with their child’s program about emergency preparedness. Early childhood programs may also find that the publication is a good starting point for self-evaluation of their emergency plans and processes. This website offers various art activities as well as information about child-friendly art in the Art for Kids and blog section. This site is a resource for arts and crafts activity ideas for toddlers. HealthyChildren.org, the American Academy of Pediatrics’ official web site for parents, presents an easy-to-use “Find a Car Seat” checker to quickly learn what car seat is right for your child based on age, height, and weight. The app includes installation instructional videos, audio clips, and articles to help parents use their car seats safely. In addition, the app includes a full sortable product guide updated for 2013, including prices and size limits.” The app is available from the iTunes store. First Things First recently created a digital Parent Kit to help new parents support the healthy development of their infants, toddlers, and preschoolers. The virtual resource provides information on child development, health and safety, how to choose high-quality child care, family well-being, and school readiness. HealthyChildren.org is the only parenting Web site backed by 64,000 pediatricians committed to the attainment of optimal physical, mental, and social health and well-being for all infants, children, adolescents, and young adults. Whether you’re looking for general information related to child health or for more specific guidance on parenting issues, you can find it here. Also, you’ll find information regarding the American Academy of Pediatrics many programs and activities, their policies and guidelines, their publications and other child health resources, as well as much, much more. Best of all, you can rest assured that the information comes from the nation’s leading child health experts and that we have scientific research supporting their recommendations. This comprehensive website, based on Bright Futures Guidelines, was developed through a partnership of the Virginia Department of Health, James Madison University and the American Academy of Pediatrics. Parents can view videos and written materials which provide child development information on a variety of topics. Prevention 1st created Homefiredrill.org to encourage all households to maintain a working smoke alarm, create an exit plan, and above all practice your home fire drill twice a year. While regular fire drills are required at schools and many workplaces, less than 20% of U.S. households have created and practiced a home fire escape plan. Unfortunately, more than 80% of fire fatalities happen at home. A practiced fire escape plan could save many lives. This website has information about health, behavior, and development from prenatal stages through the childhood years. This site offers reseach-based tips from NAEYC and ideas on children’s learning and development families can trust—and much, much more! Be sure to check out two of our favorite posts: 10 Ways Babies Learn When We Sing To Them and Top 10 No Cost Toys for Infants, Toddlers, and Preschoolers. 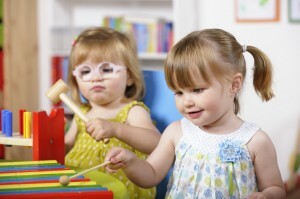 VDSS Child Care Guidance for Parents lists topics which may be helpful for parents. Topics include child care assistance, health form for school or child care and instructions, and tax credits for parents.